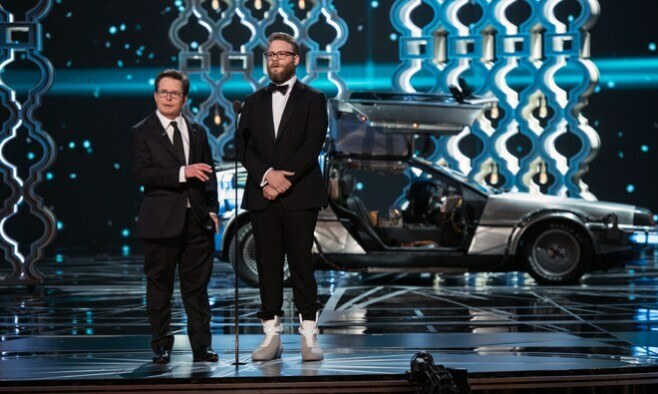 An estimated 32.9 million viewers tuned in to watch the 89th Academy Awards Oscars, where actors Michael J Fox and Seth Rogen took to the stage to present the award for Best Editing – arriving in an unusual mode of transport. 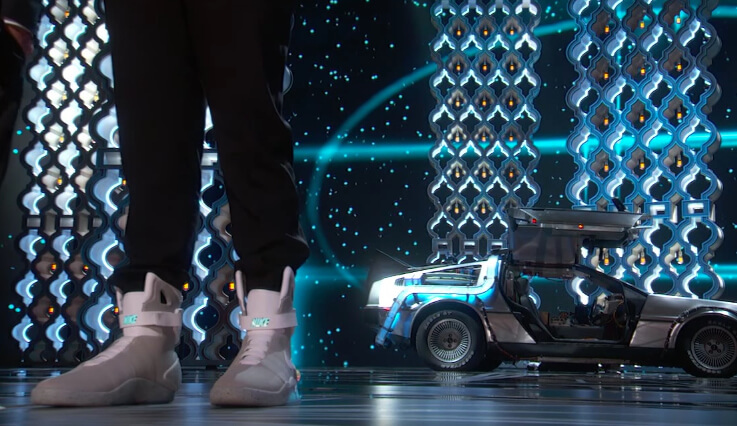 A video of Rogen confessing his love for ‘Back to the Future’ – the much-loved movie franchise in which Fox played ‘Marty McFly’ – was shown on screen before both actors emerged from the famous ‘DeLorean’ time machine, with Rogen stepping out in the futuristic Nike Mag sneakers from the film. Last year, Nike raised US$6.75 million for the Michael J Fox Foundation for Parkinson’s research after auctioning 89 pairs of the self-lacing ‘Mag’ trainers – as worn by Fox in ‘Back to the Future II’. Fox fans, along with members of the Parkinson’s community, took to social media to express their admiration for Fox who was diagnosed with Parkinson’s in 1991. Parkinson’s blogger Allison Smith felt proud watching Fox on stage amid his Parkinson’s. I see Michael J Fox at the Oscars I don't feel sad for him. I'm proud of him. Sorry Parkison's, you lose. Fox fan Jason Gavigan called his idol the “coolest dude in the room”. Areva Martin described her awe at seeing Fox take to the stage, and how she grew up with him as an inspiration. Actress Carrie Hope Fletcher couldn’t contain her excitement and felt equally inspired by her hero. Lead image credit: Aaron Poole/©A.M.P.A.S.